Having a great ecig and eliquid is not always enough – the best device in the world can suffer wear and tear, or from hard use. 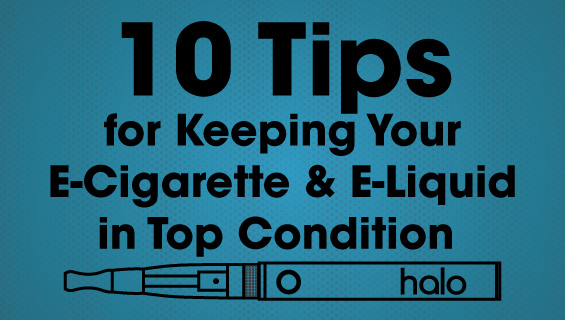 Fortunately, these 10 tips will help you keep your ecig in tip-top condition. If you think we’ve missed any, don’t forget to let us know in the comments! 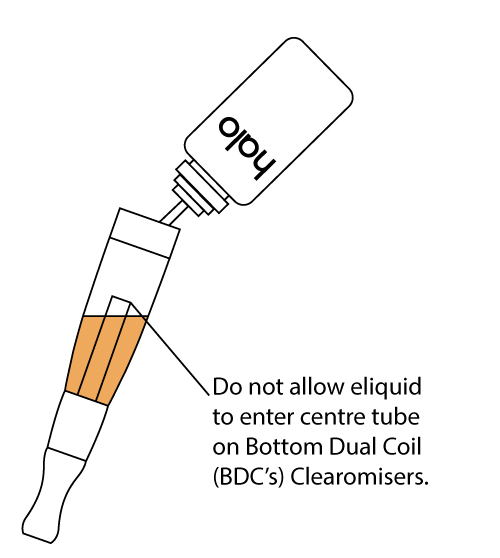 For Bottom Dual Coil clearomisers (BDC’s), when eliquid is at a level below the holes in the atomisers, your atomiser will not be able to draw in enough eliquid. This runs the risk of dry burn. 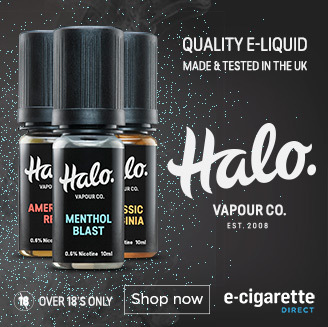 Not only does this taste foul, you also risk burning your atomiser out. 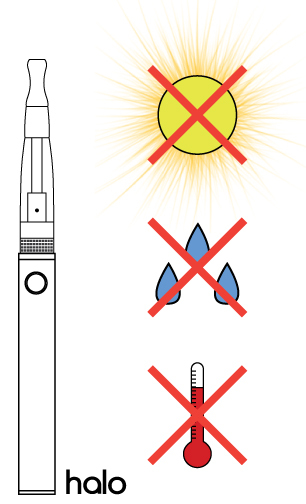 For CE5s simply ensure the eliquid does not run too low by keeping it topped up regularly. Bonus tip: At the same time, make sure you don’t overfill your clearomiser. 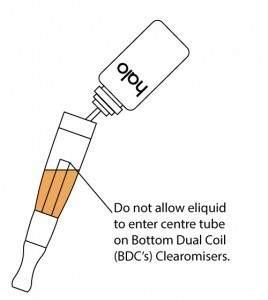 If the eliquid goes above the level of the centre tube you will flood your clearomiser. 2. Keep Your Battery Terminal Clean. Dirty terminals can affect performance or prevent the terminal connecting with the clearomiser. Simply clean the terminal with a cotton bud to keep it clean. You can also clean the end of the clearomiser in the same way. This can be very effective. In a comment on a previous post, reader Craig Mahers explained that he had thought his battery had given up the ghost, but after a good clean the battery was performing well again. Bonus tip: If the battery is failing to make a connection, the terminal may have been pushed in. 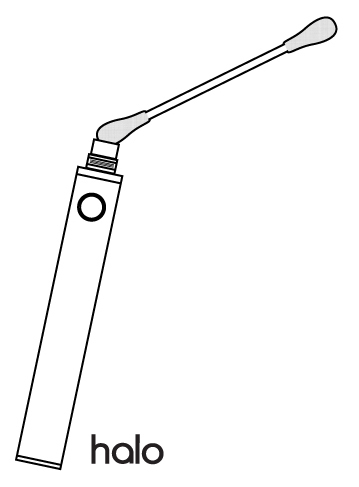 Try very gently pulling it out with a wooden toothpick (it only needs to come up a millimetre or so). Please be careful when you do this, as if you damage it, it may void the warranty. If your battery is not making a connection, a temporary solution for when you are out and about and desperate for a vape is to press the button and slow rotate the clearomiser on it’s thread until you hear a fizzing noise. When you are doing this, though, make sure you don’t overtighten the clearomiser! The air holes on your clearomiser are there to give you sufficient airflow over the coil to keep the vape at a comfortable temperature. They are also important for ensuring that your wick stays saturated with eliquid. 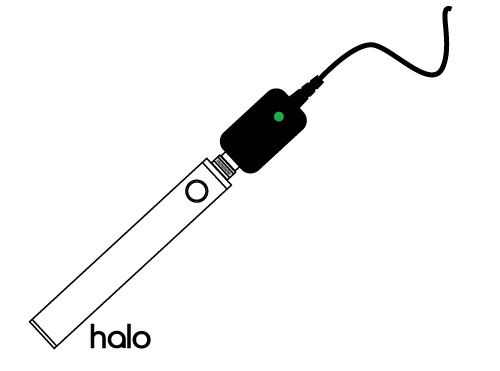 If you leave your ecig on its side or upside down, the eliquid can travel toward these holes and will eventually leak. 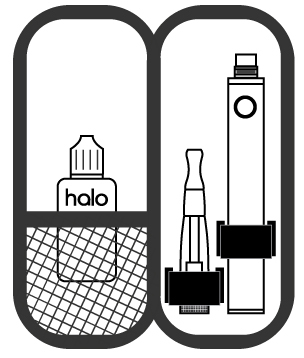 Store ecig upright. This will help avoid flooding the airspace. 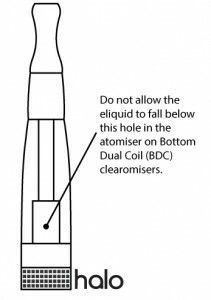 Maintaining your clearomiser and atomiser can keep performance high and extend atomiser life. i. Remove clearomiser from battery. ii. 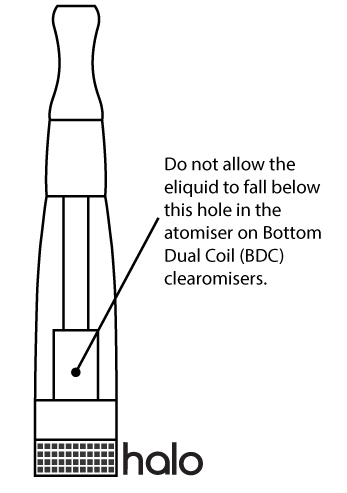 Take atomiser and mouth piece apart (if possible – not all clearomisers can be dismantled). iii. Wash with hot but not boiling water. iv. Leave for at least 24 hours to dry. You can also clean your clearomiser in specialised ultrasonic drying equipment, and some of our readers have recommended using denture tablets for cleaning. Bonus tip: Place the atomiser in dry rice to speed up the drying process. Dan bravely volunteered to vape a clearomiser without allowing it to stand first. See more e-cig tanks and clearomisers here! Fluff and dust can easily accumulate in your mouth piece, blocking the flow of vapour. Simply remove the mouthpiece and blow through it to clear. You can also use a twist of tissue paper to clear away any condensed eliquid and/or rinse the mouth piece in warm water. 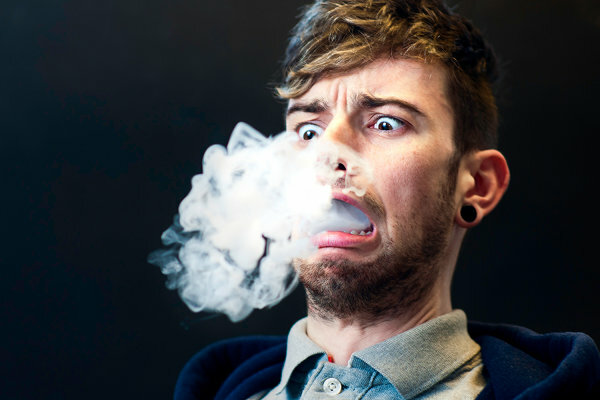 Electronic cigarettes are wonderful devices that have helped many people free themselves from traditional cigarettes, but they are not immune to the effects of gravity. They’re functional, sometimes fashionable, but trousers are also expert level ecig assasins! One bend too far and that ecig in your pocket can snap faster than you can blink. Somewhere, right now, an ecig user is cursing the sweet smelling brown stain their broken ecig left in their favourite pair of carrot fits. Unless you’re wearing something baggy like Harlem pants, be careful if you put your ecig in your pocket. Keeping some charge in your batteries can extend their life. Also be sure to ensure that batteries are charged before packing for transport or long journeys, and keep away from high temperatures. For more tips on battery maintenance see The Ultimate Guide to ECig Batteries. Screwing a clearomiser too tightly into the clearomiser can damage the connections. Screw the clearomiser it in firmly (by hand) but not too tightly. Very rarely, a clearomiser can be difficult to unscrew from the battery. If so, use something like a rubber grip to try and loosen it. Never take your tools to it, as this could damage both the clearomiser and the battery. Bonus tip: To avoid mis-threading a clearomiser, when screwing in the coil and atomiser turn it anti-clockwise until you hear a click. If you do have problems with your clearomiser, you might find our clearomiser flow chart will help you find and resolve the problem. Coils are a consumable. If you are using a clearomiser with replaceable coils (such as the Aspire Bottom Dual Clearomiser) change the coil every month or so to maintain top performance (especially if you are hearing a gurgling noise or are getting a burnt taste). 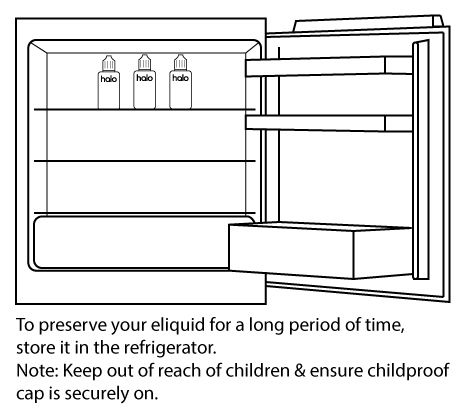 Dr Houezec recommends storing eliquid in the fridge or even freezing it (obviously, also ensure the child proof cap is screwed on tightly if you have children). Click here to read what else he says about eliquid. 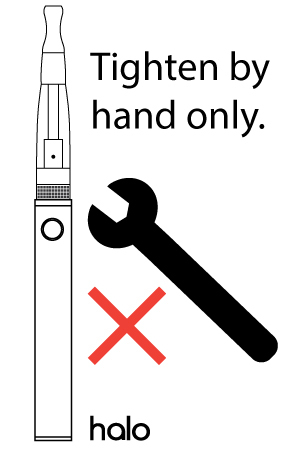 What are your top tips for maintaining your ecig? Let me know in the comments. If you found this article of value and think others will do too, I’d really appreciate it if you could share it using one of the buttons below.